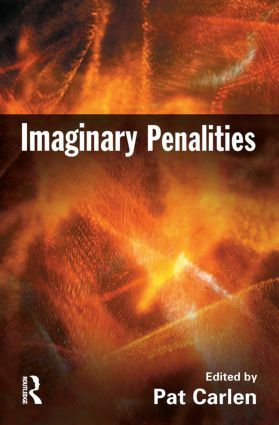 This book is concerned to explore the idea of imaginary penalities and to understand why the management of criminal justice and criminal justice systems has so often reached crisis point. Its underlying theme is that when political strategies of punitive populism are combined with managerialist techniques of social auditing, a new all-encompassing form of governance has emerged - powerless to deliver what it promises but with a momentum of its own and increasingly removed from proper democratic accountability. A highly distinguished international group of contributors explores this set of themes in a variety of different contexts taken from the UK, N. America, Europe and Australia. It will be essential reading for anybody seeking to understand some of the root causes of increasing prison populations, social harms such as recidivism and domestic violence and the increasingly important role of criminal justice within systems of governance.